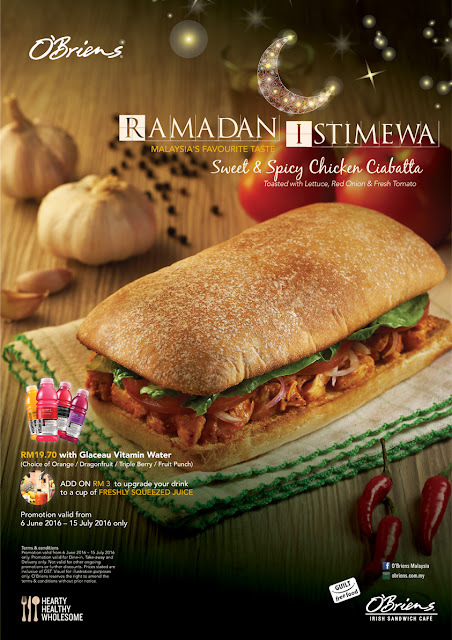 O’Briens is offering their Sweet & Spicy Chicken Ciabatta for RM19.70 with Glaceau Vitamin Water (choice of Orange / Dragonfruit / Triple Berry / Fruit Punch). Add on RM3 to upgrade your drink to a cup of Freshly Squeezed Juice. Valid for dine-in, take-way and delivery only.